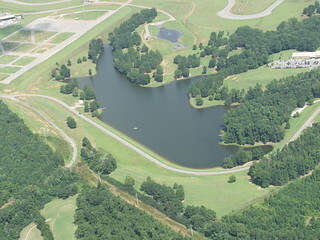 The Georgia Public Safety Training Center’s Natural Resources Area features a 22-acre reservoir used for practicing rescue operations, underwater recover and boating safety. The reservoir also contains an underwater obstacle course. Thirty-five acres of undisturbed woodland serve as a laboratory for hunter safety and other natural resources topics. Finally, as a conservation and cost saving measure, water from the reservoir is stored in water towers on the GPSTC located on the campus and used to extinguish fires during firefighter training.